You can rent this spacious one bedroom self catering apartment direct from the owner. The apartment has air conditioning in both the bedroom and the living room, it also has a flat screen HD T.V, there is also free WiFi in the apartment. There is also a fully fitted kitchen if you decide not to go out. 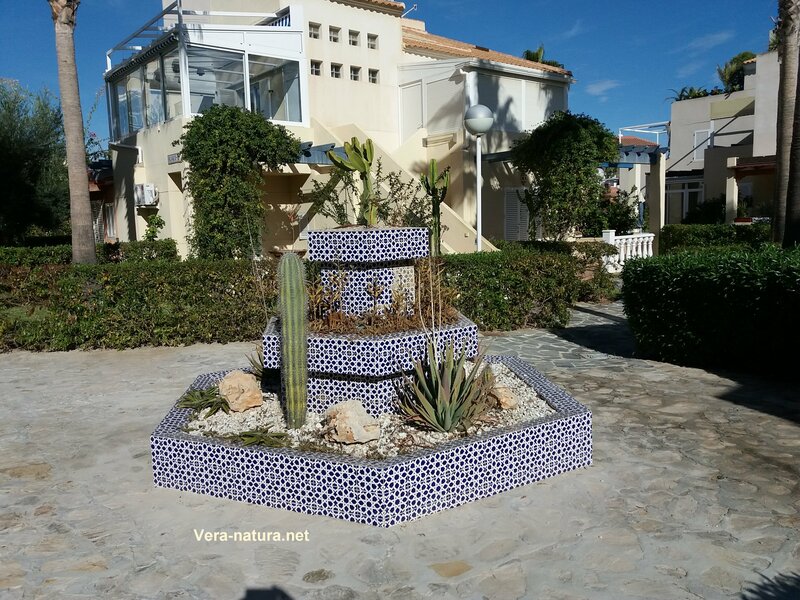 It is situated on the ground floor in the urbanisation of Vera Natura, from here you can step onto the Vera Playa naturist beach. 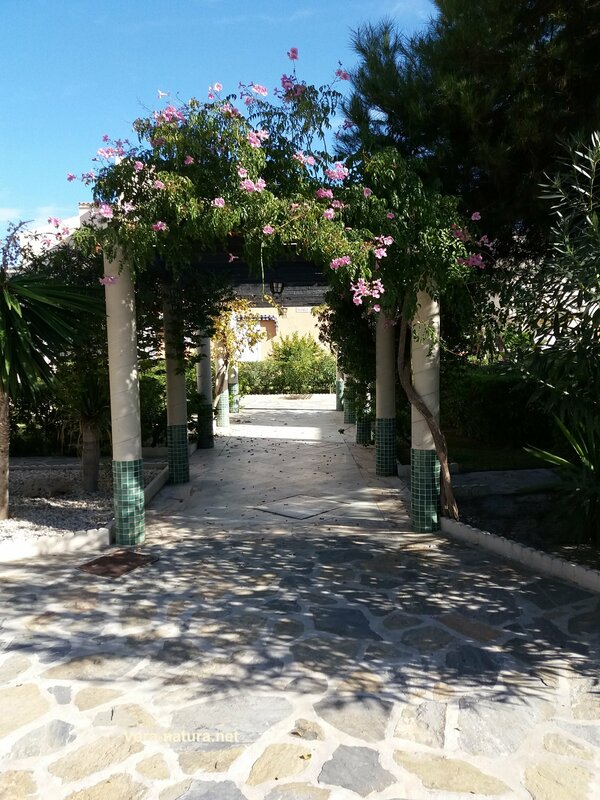 Vera Natura has one of the most beautiful internal communal gardens of any complex in the Vera naturist zone. 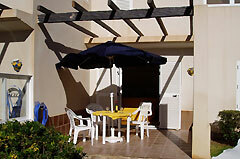 Our apartment also has its own small garden for sunbathing as well as a patio for siting and dining. 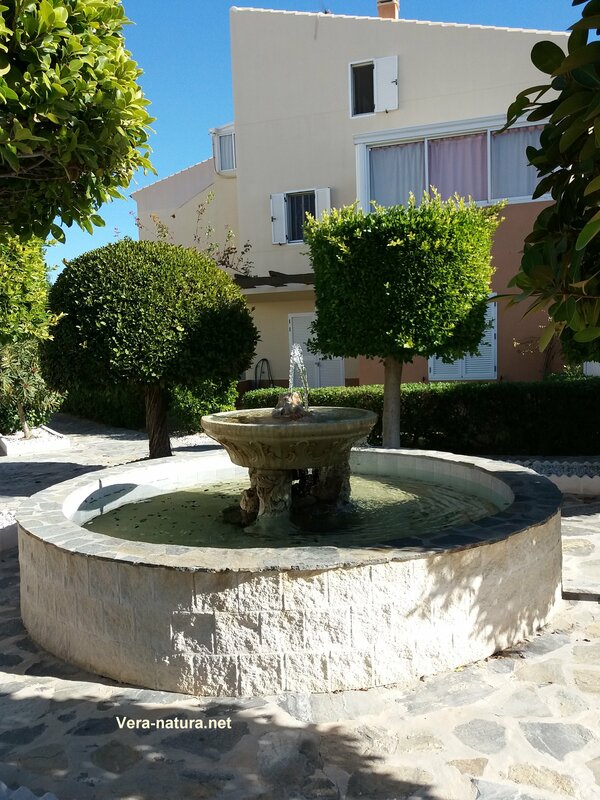 The apartment is located towards the centre of the urbanisation, in a quiet area, with a very pleasant outlook over gardens and a long colonnade. Playa is the Spanish word for beach. 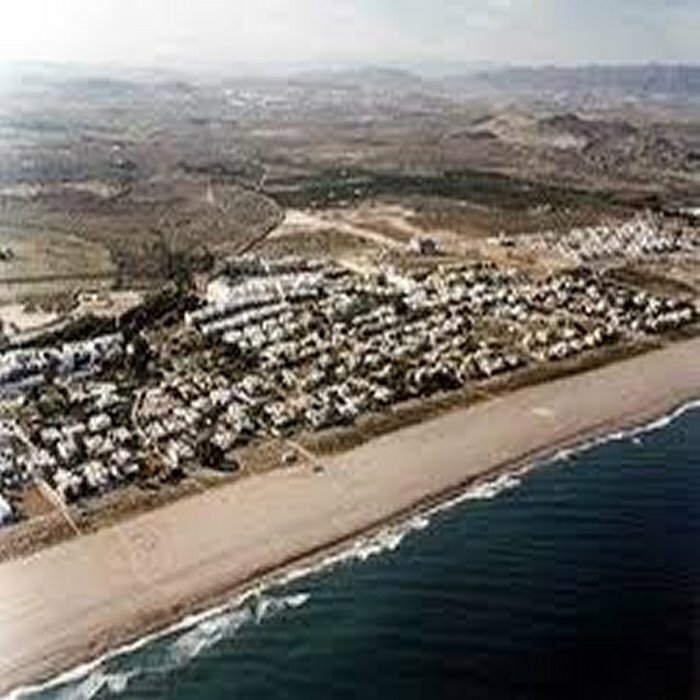 The stretch of coast that Vera Playa is located on is part of the Costa de Almeria. 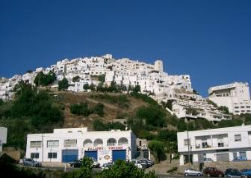 A place that is well worth seeing is Mojácar a white hill top town with over 2000 years of history. 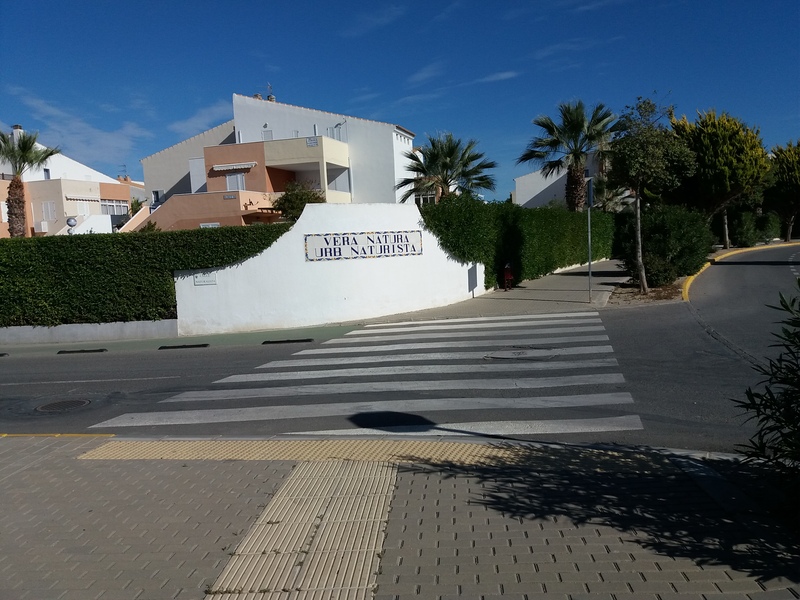 It is located just a short drive away about ten kilometres west of Vera Playa.